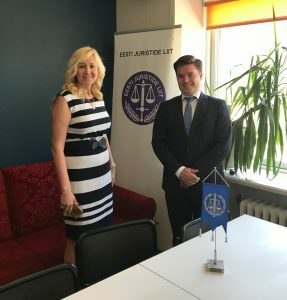 On 9 May 2018 Marcus M. Schmitt, General Manager of the European Company Lawyers Association (ECLA) met with representatives of the Estonian company lawyers association “Eesti Juristide Liitu ja Ettevõtlusjuristide ühendust” in Tallinn, Estonia. 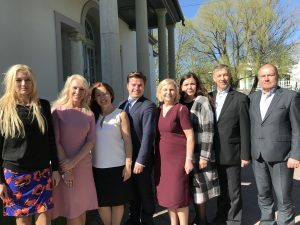 Mr. Schmitt met representatives of the Estonian Ministry of Justice to discuss the current status of the profession of company lawyers in Estonia. 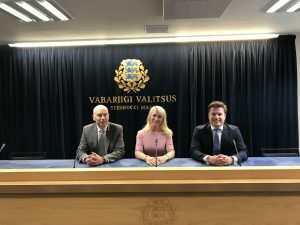 After having briefly visited government institutions, the meetings continued with Krista Paal, Director of the Estonian Association as well as Meelis Pirni, President of the Estonian Lawyers Union. In the afternoon Tiina Sepa, the Estonian representative to ECLA and Marcus M. Schmitt discussed current legal developments in Estonia as well as in Europe. In the evening Mr. Schmitt met the board of the Estonian company lawyers association and participated in the General Assembly.